Grill beef patties on a well heated BBQ, for 4-5 minutes per side. 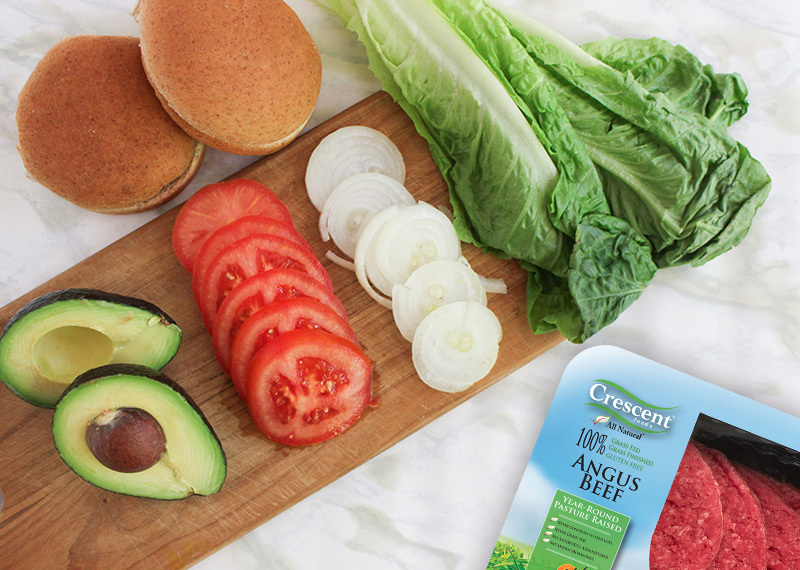 While burgers are cooking, prep Guacamole by mixing avocados with coriander, lemon juice, chilli powder, cumin powder salt and pepper. Cut up onions and tomatoes into slices and set aside. 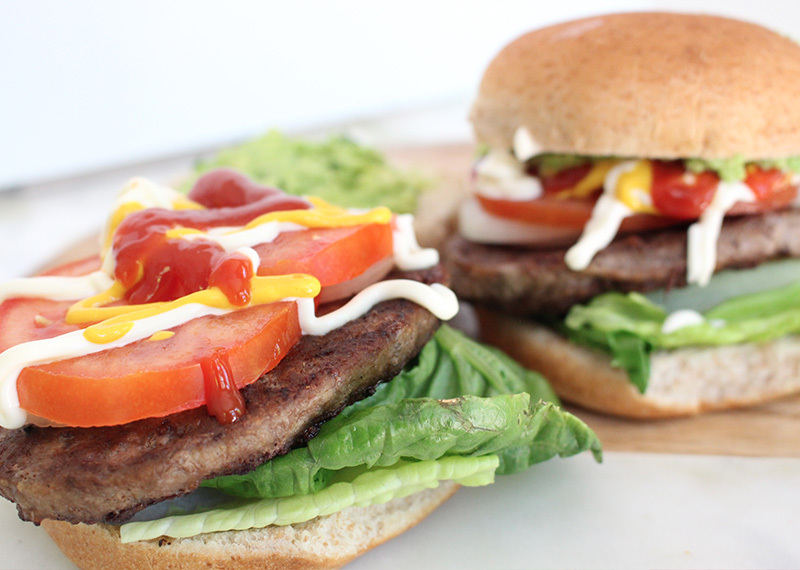 Once burgers are done, place on burger buns, and top with tomatoes, onions, guacamole and any condiments you like!